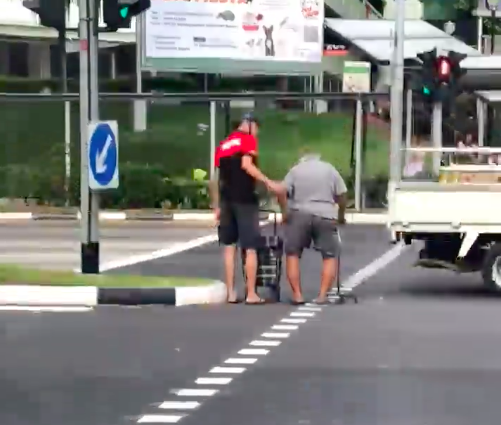 A motorcyclist who alighted from his bike in Yishun in order to help an elderly man cross the road has been praised by netizens repeatedly commenting “#MakeYishunGreatAgain”. The video, shared on the Facebook page SG Road Vigilante, received almost 600 reactions. In the video, the biker can be seen helping the old man, who has to reply on a grocery trolley and a walking stick to support himself, cross the road. Rider get down of bike to help old uncle to cross the road at yishun, have angkong doesn’t mean he is bad or what. anymore kind souls? The motorcyclist, Mr Reyco Chai, the media that “this is the kind of thing that you just do and you feel good in your heart”. He added that he was riding past a traffic junction near Northpoint City, on the way back to his motorworkshop in Yishun around 4.30pm, when he spotted the elderly man at the junction along Yishun Avenue 2. Mr Chai also help stop oncoming traffic so that the elderly man could cross the road. “He was already crossing the road and from his speed, I knew he could not make it… I was afraid that vehicles might not stop for him when he was crossing,” said Mr Chai, a mechanic. He also added that it took them about 5 minutes to cross the road. “I hope more people will step forward to help when they see anyone who needs it,” said Mr Chai. 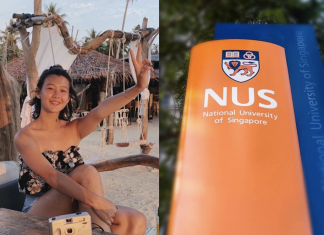 Netizens were full of praises for Mr Chai.